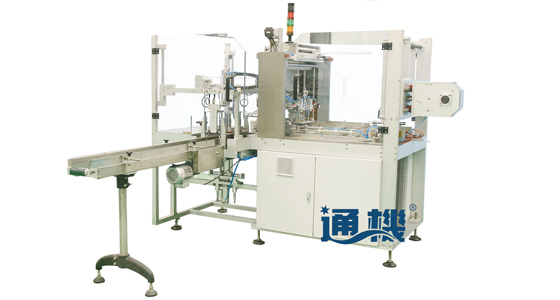 This machine is specially designed for pharmaceuticals, soap, toothpaste, food and audio disc production. It uses BOPP and PVC film to wrap several small boxes into bundle through automatic product feeding, stacking, forming and sealing. The mainbody is of aluminum alloy structure and it’s controlled by PLC. Servo system makes film cutting accurate, no matter it’s color mark detecting mode or fixed-length cutting mode. There are three pairs of sealing plates, which are good for temperature control to ensure good wrapping. Change-over is simple and visible for counters, rulers and fast pull and plug devices. Only 15~20 minutes is needed for changing sizes, which is convenience for customers. This kind of package looks very even and beautiful and can have the anti-fake linear. Of all film packaging methods, overwrapping is the most artistic and high tier product package. This mini Over Wrapper is specially designed for small sized regular products, mainly used for cosmetics, health products, cards, etc.